Pelargonium graveolens growing shrub‎ of the genus Pelargonium also known as Rose geranium plant. 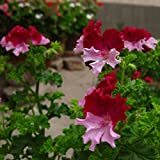 Pelargonium graveolens perennial evergreen plant and also used as fragrant ornamental attract pollinator plant, grow in tropic, mediterranean or subtropical climate and growing in hardiness zone 10+. 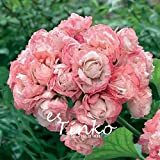 Leaves edible fragrant, color is bright to dark green, taste is mild and remind flavor of rose and lemon, leaves structure deeply jagged 3-9 lobes. Pelargonium graveolens mosquito plant – leaves repellant mosquito and might consider growing it next to the entrance. 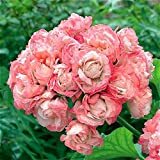 Is it necessary to graft or use vegetative reproduction Rose geranium? When is the best time to prune a Pelargonium graveolens shrub? 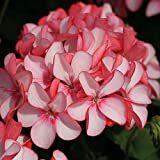 What is the size of a Pelargonium graveolens shrub? 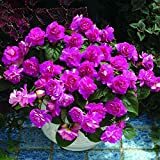 Is it possible to grow Rose geranium indoor? When does Pelargonium graveolens flower bloom? What is the treatment for vegetative reproduction in Rose geranium? How to trim Rose geranium leaves?